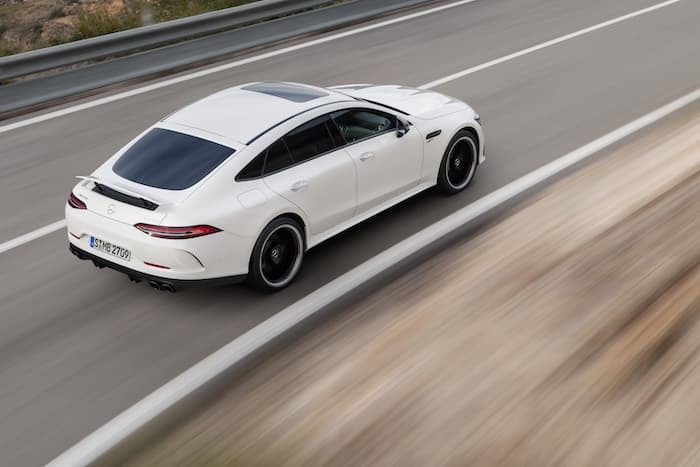 The Mercedes AMG GT 63 S has apparently set a new record for four seat cars around the Nürburgring, previous records were held by the Porsche Panamera and Alfa Romeo Guilia. The AMG GT managed a time of 7m and 25.41 seconds have a look at at the video below which shows the record lap. With an officially certified and notarized lap time of 7:25:41, the Mercedes-AMG GT 63 S 4MATIC+ is now the fastest fully-fledged four-seater production car to ever conquer the legendary Nürburgring Nordschleife! Watch Mercedes-AMG Development Engineer Demian Schaffert achieving this incredible feat. As yet Mercedes Benz have not officially announced their new record, as soon as we get some more details, we will let you guys know.